This Friday, October 17, at 2PM, Central Time, the podcast “Law Librarian Conversations,” will host a conversation about law librarianship education and as a career. Brought to you by the Schmid Law Library at the University of Nebraska College of Law, you can listen in to the podcast live on BlogTalkRadio. Our special guests this month will be Penny Hazelton, Library Director and Professor at the University of Washington School of Law and Mike Chiorazzi, Associate Dean for Information Resources and Professor at the University of Arizona College of Law. The show will be co-hosted by Roger Skalbeck, Associate Librarian for Electronic Resources, Georgetown University Law Library, Marcia Dority Baker, Access Services Librarian at the Schmid Law Library, University of Nebraska College of Law and me. We’ll be joined on the panel by Elizabeth Farrell, Associate Director at Florida State University College of Law. Please join the conversation by listening in live, or subscribing to the podcast from iTunes or your favorite podcast service. Don’t forget to join the chat room during the show, if you listen live. Follow this link to listen in, join the chat room or call in at (347) 945-7183. At the beginning of June, I attended a special program on Competitive Intelligence at SLA in Vancouver. The speaker was CI pro, Zena Applebaum. Zena’s goal was to empower the librarians and information professionals in the audience to “draw your own conclusions.” Librarians who don’t regularly do CI as part of their jobs typically stop at step 2 in the CI cycle (below). It’s time we started closing the loop. Our end goal when we do CI should be to mobilize the end user so that they are decision-ready. A dog cannot recover for emotional distress? Comments Off on A dog cannot recover for emotional distress? A dog cannot recover for emotional distress. While it is unlikely that the Headnote of the Day will significantly help you with your work (the blog does state that they “offer the Headnote of the Day as a diversion; the point of law it contains may no longer be good law”), it might brighten up an otherwise gloomy Friday! TGIF LLOPSters! Investigators dubbed them “the librarians,” four Air Force nuclear missile launch officers at the center of a still-unfolding scandal over cheating on proficiency tests. “They tended to be at the hub” of illicit exchanges of test information… it was the four “librarians” who allegedly facilitated the cheating, in part by transmitting test answers via text message. Damn those four “librarians”! Yet, what exactly makes them “librarians” according to these so called “investigators”? All I gathered is that they were the hub for text messages, applying this logic: high school kids and one’s children who never call are “librarians” as well. My jest aside, our membership continually faces label issues and debates. Every year a new gauntlet is thrown down hoping to remove “librarian” or “library” assignments, aiming for more modern “information”, “knowledge”, etc. types. If the article says anything positive about “librarian”, in between the lines, it is that we are known for relaying, managing, and assessing quality information, even if by text. For better or worse, sensationalist headlines like this make it clear that the term “librarian” is generally and immediately recognizable; and, scandals excluded, esteemed. Last March, Canadian libraries got caught in a quick swell of fear and worry over the freedom of expression. 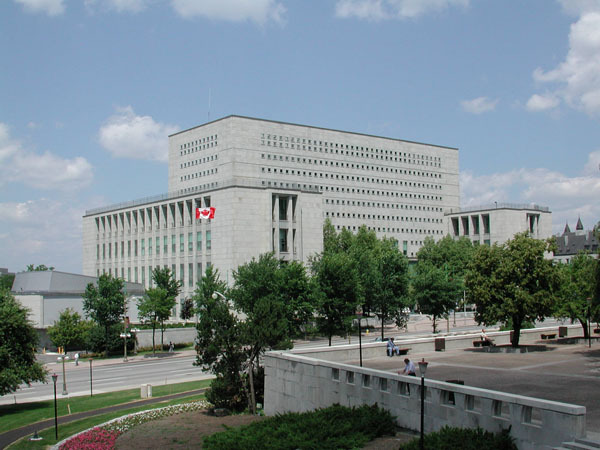 The Library and Archives Canada (“LAC”), employer of public service librarians, served their staff with a new set of professional guidelines. Many who commented on the new rules, entitled “Code of Conduct: Values and Ethics” reviled it. Boing Boing’s (and former Canadian library-worker) Cory Doctorow tagged it “censorship” and “surveillance.” Library Journal’s Annoyed Librarian called it totalitarian. What happened? I’m back with a second report about my trip the ALA Midwinter Exhibit Hall. As promised in Part One, this post will focus on what I learned from talking with vendors. A wrinkled t-shirt, as it turns out. This is a side effect of my shirt’s afternoon spent crumpled in a free ALA bag with other library swag and material. 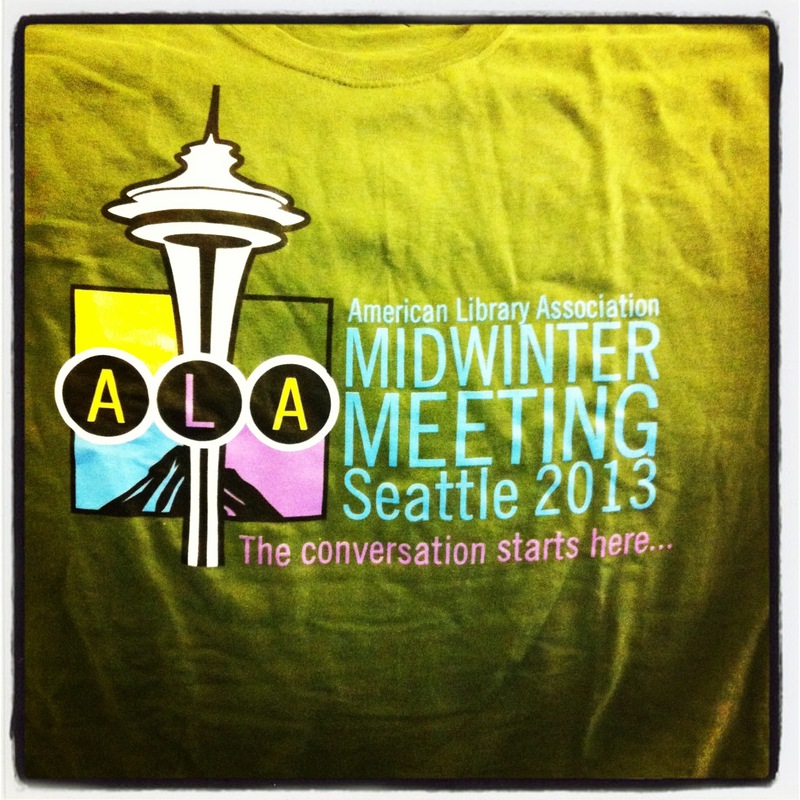 Today, I made a field trip to the ALA Midwinter 2013 Exhibit Hall. Now, having just recently been to my first AALL Conference and experiencing that exhibit hall, I was curious to see how ALA does things. I was also looking for some perspective about the library profession generally since my focus has been on law librarianship. It was time to learn more about the larger world of linking people and information. This post includes my observations about visiting the Exhibit Hall. Stay tuned for Part Two where I’ll report on my discussions with Thomson Reuters about its citation management tool Endnote and ProQuest about the Statistical Abstract of the United States. I recently received a link to this article from March 2012. In it, the author, Jeff Rundles, laments the lack of customer service in both businesses and government entities. The one bright spot he found: libraries and librarians! Of course, this comes as no surprise to those of us in the field. Our number one priority is to take care of our customers, whether they are attorneys, students or members of the general public. Why do librarians excel when other entities, such as the Department of Motor Vehicles, fail? I think librarians are given a great amount of authority and freedom to assist our customers. My daughter had an internship at a large hotel chain one summer. She was working the front desk one day when a customer came to the desk with a complaint about their room. 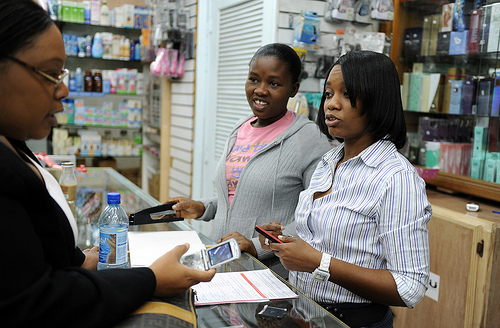 No one at the desk had the authority to offer the customer additional services or remove charges from their bill. The staff had to wait for manager approval. The customer left angry and frustrated and my daughter learned the importance of empowering your staff to handle problems as they arise. I know librarians who have had their children, attending universities in other states, pull and copy articles for rush requests. Many of us spend untold hours on the phone with customer reps for online services seeking to understand the vagaries of their databases in order to explain why we received the results we did. I have used Google translate to try and submit requests through foreign websites written in languages I don’t understand. What is the greatest length you have gone to in order to provide top notch reference service? myLOC, from the Library of Congress, lets you save folders of favorite images or documents from online exhibits. For example, I have saved to My collection an editorial cartoon by Herblock and a link to an entire exhibit on Brown v. Board of Education. LC’s email postcards are fun (and educational!). I’ll use this blog post as an opportunity to send out holiday cards to all of LLOPS (and whoever else sees the blog). And I encourage you to poke around in myLOC yourselves: there are lots of cool exhibits, and you can send your friends great cards! “Postcard” with a 1903 book jacket from The Call of the Wild. “Postcard” with a poster from a Victor Herbert musical.